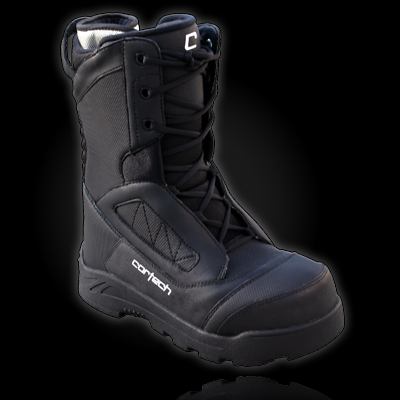 Completing the Cascade lineup is the Cascade Sport boot featuring a Hydroguard waterproof barrier inside a water-resistant PU upper. The removable Polyfill Tacliner™ insert offers warmth down to -55 C. The aggressive sole design and reinforced toe area make this boot a match for any condition. • Hydroguard waterproof barrier liner inside a water-resistant PU upper. • Removable Polyfill Tacliner™ insert, constructed from 200 denier nylon and Leice fiber, keeps the rider warm. • Lace system for even support. • Pull handle eases putting the boot on. • Reinforced toe area for better abrasion protection. • Aggressive sole design for better traction in snow. • Accordion stretch panel at heel helps flexibility. • Moderate activity rating -55º F.